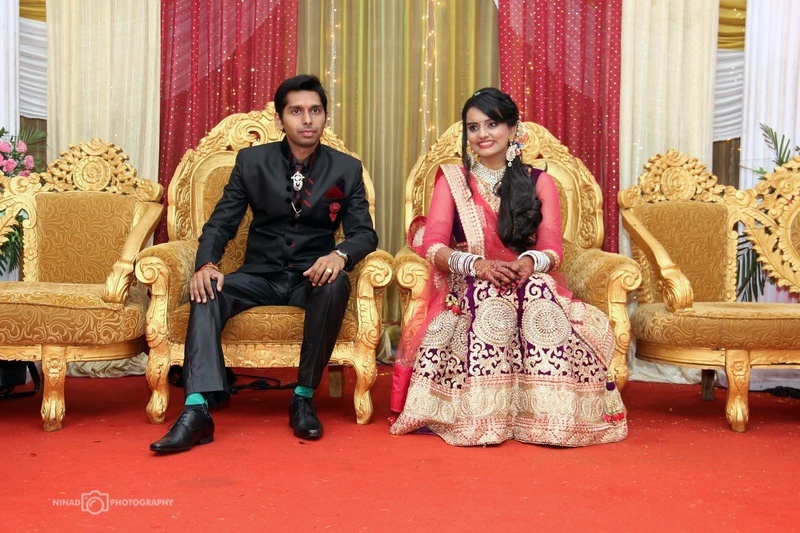 We all wish to do something unique and memorable for our wedding. 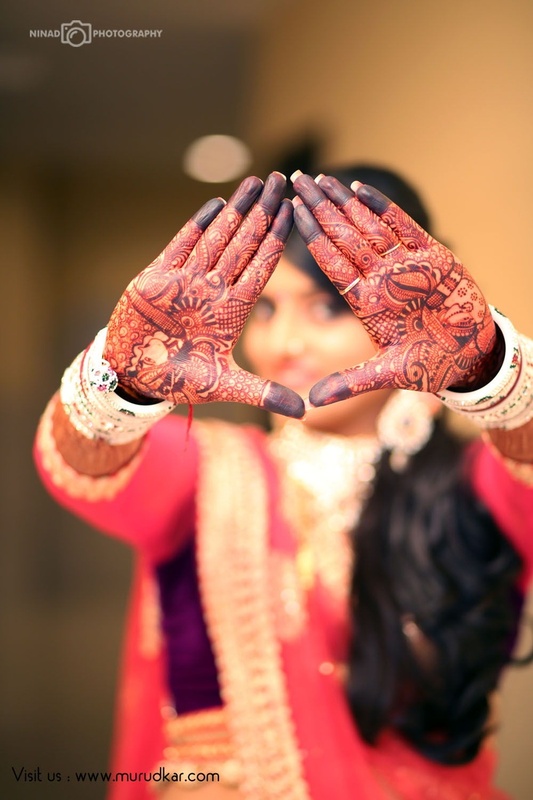 Few of us add a theme, some of us go for an edgy décor, choosy individuals opt for designer outfits and many of us go berserk enjoying desi rituals. 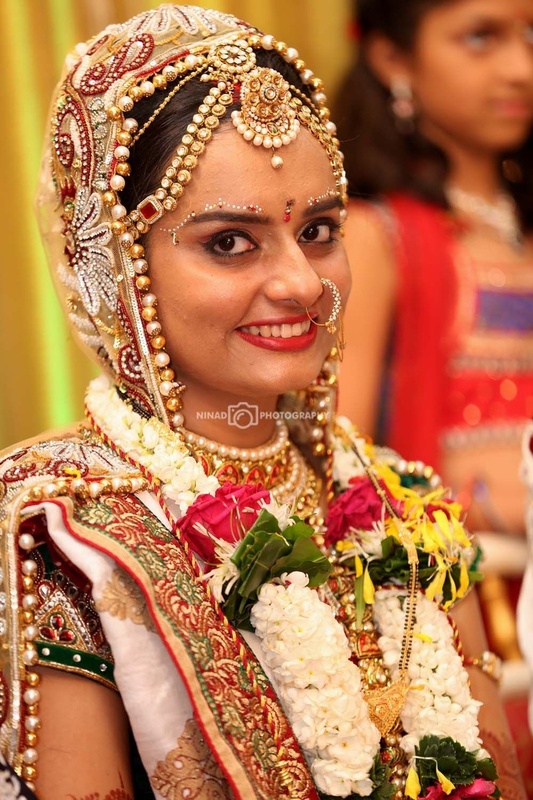 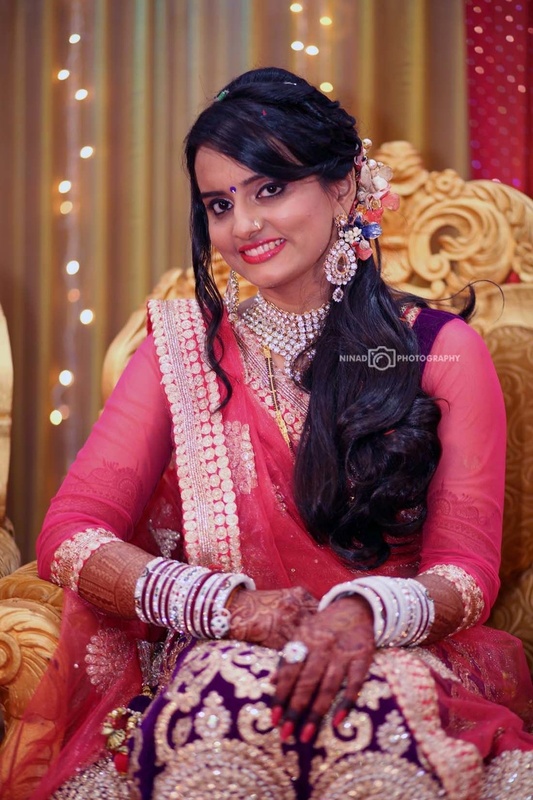 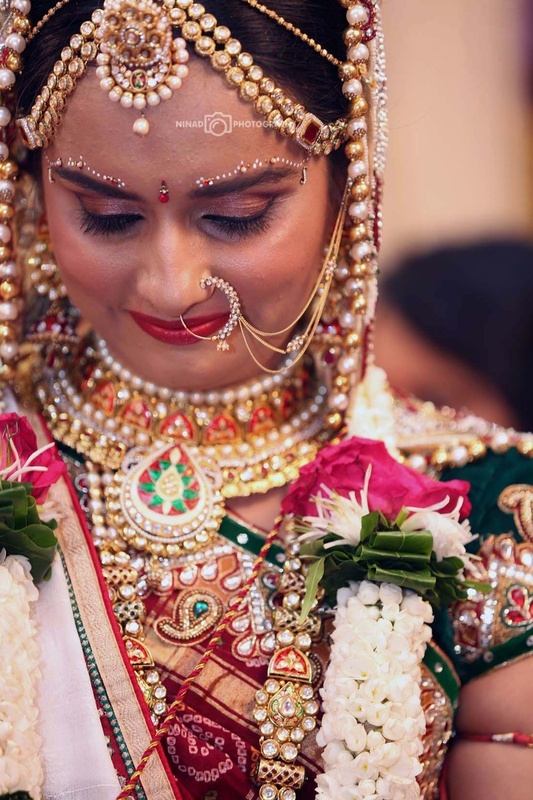 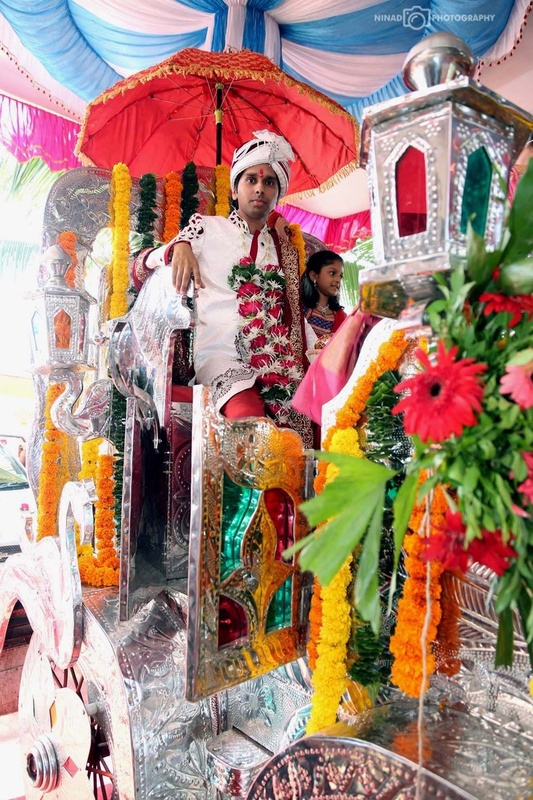 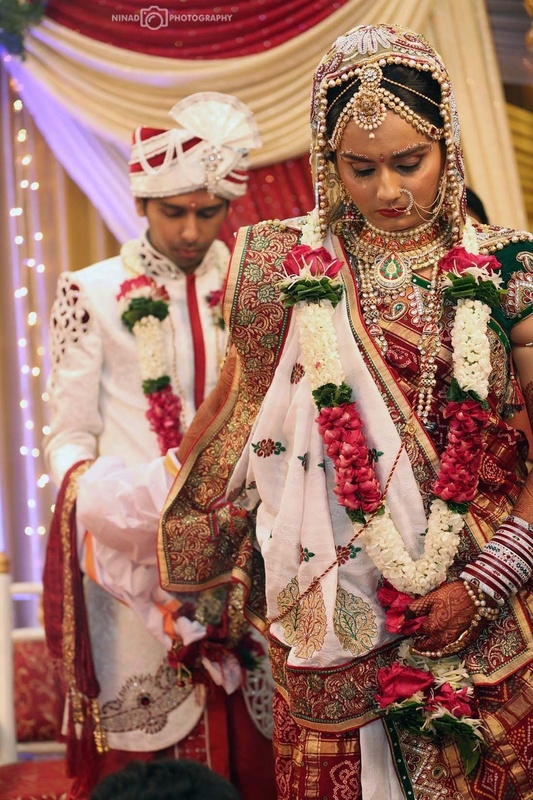 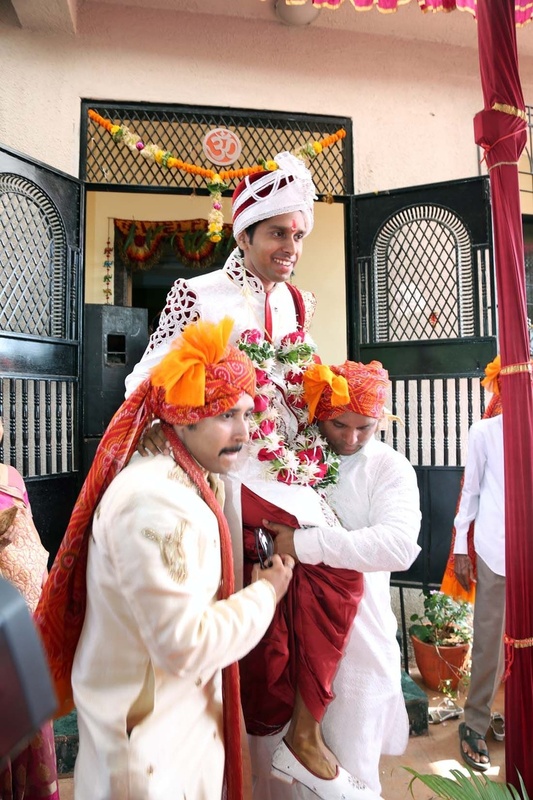 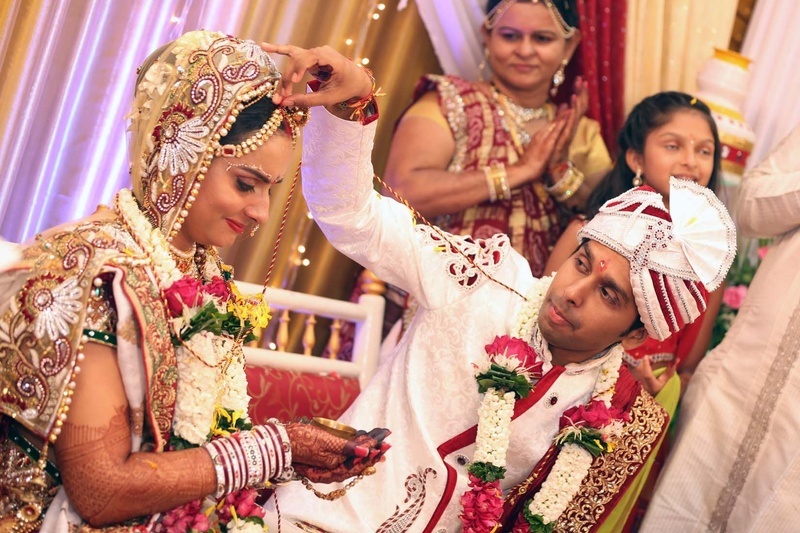 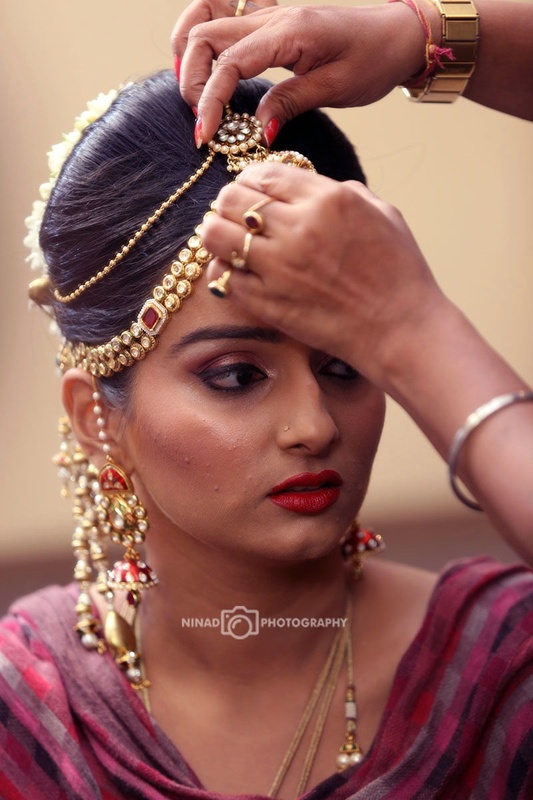 Vaishali and Bhavin’s traditional Gujarati wedding was held at Haryana Bhavan in Kandivali and had all the elements mentioned above. 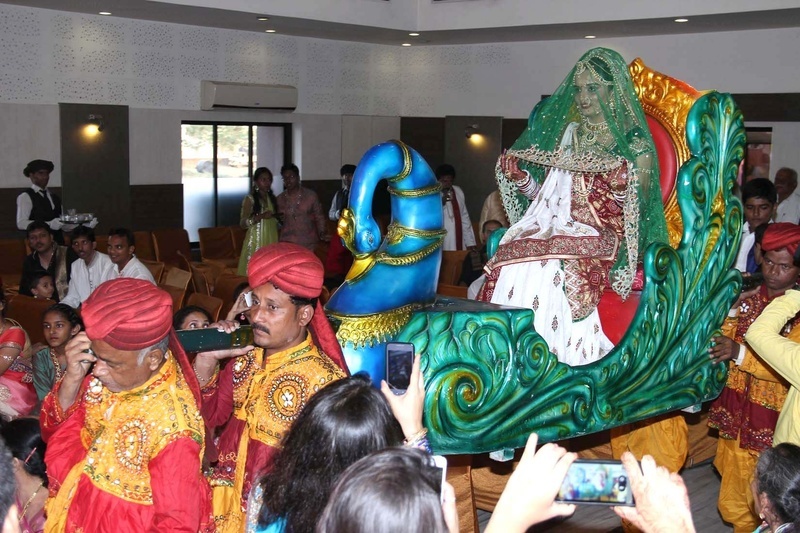 If Bhavin arrived on a royal carriage with a red umbrella over his head, Vaishali made a mythological entry on a peacock palki wearing a white and maroon bandhani with a green netted duppatta over her head. 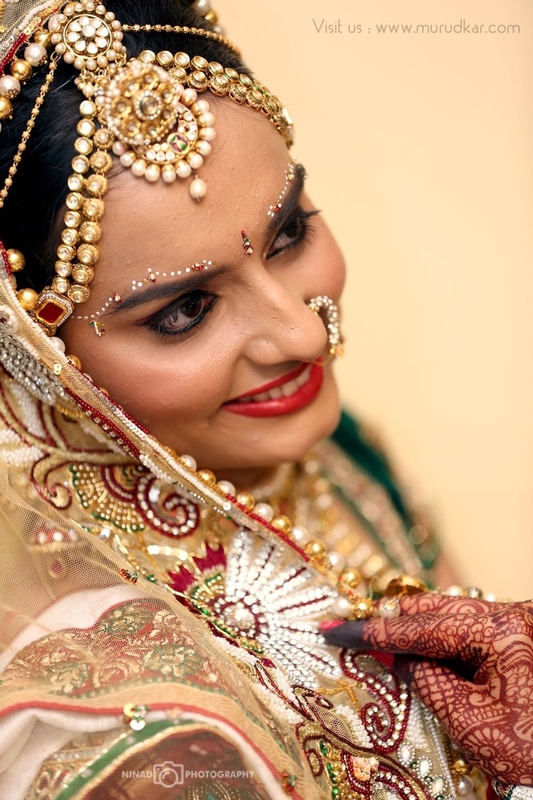 Her ornaments were primarily made up of kundan, polki, diamond and pearls that added an uber Indian touch to her look. 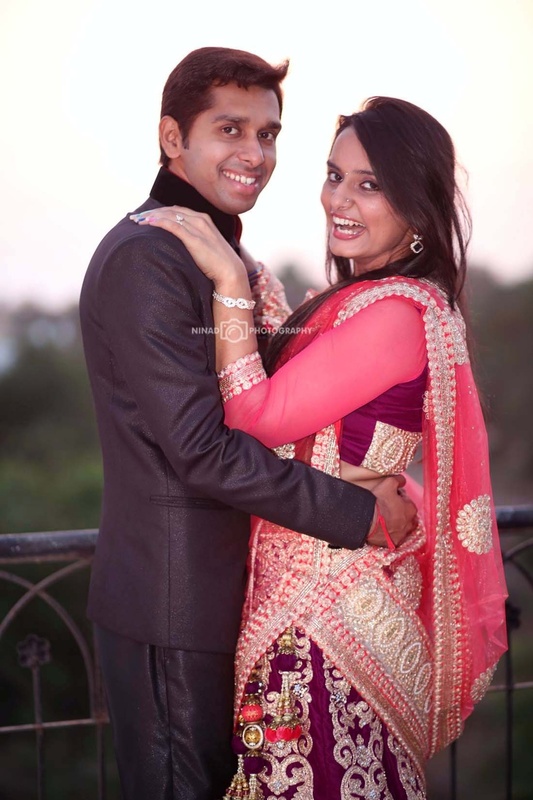 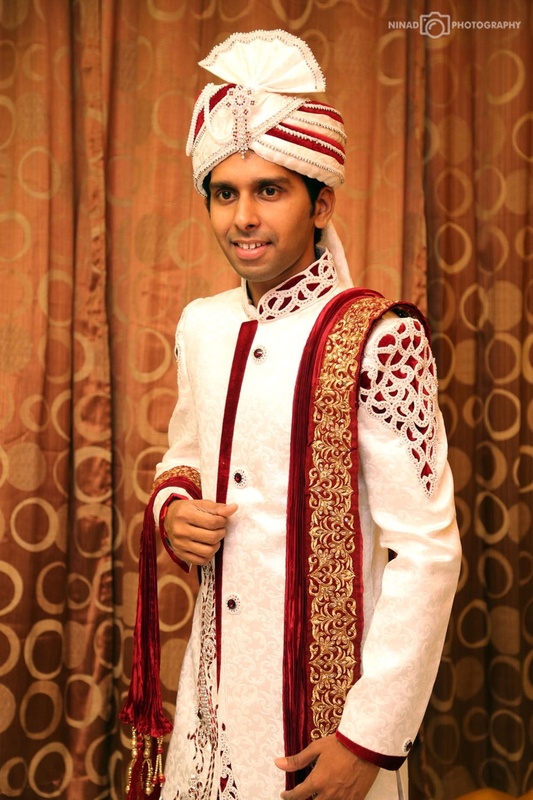 Bhavin’s attire was a front buttoned shervani with an attractive cut work on the shoulder and a complimenting safa. 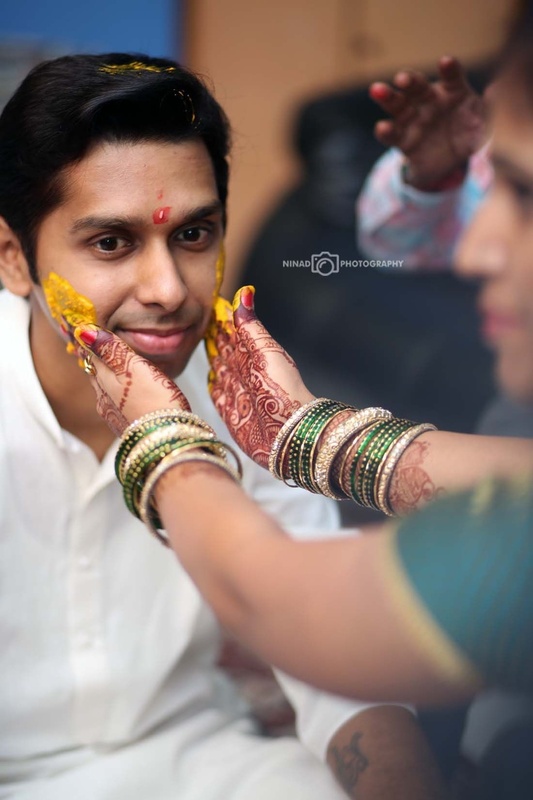 Confused on what to wear for your haldi ceremony? 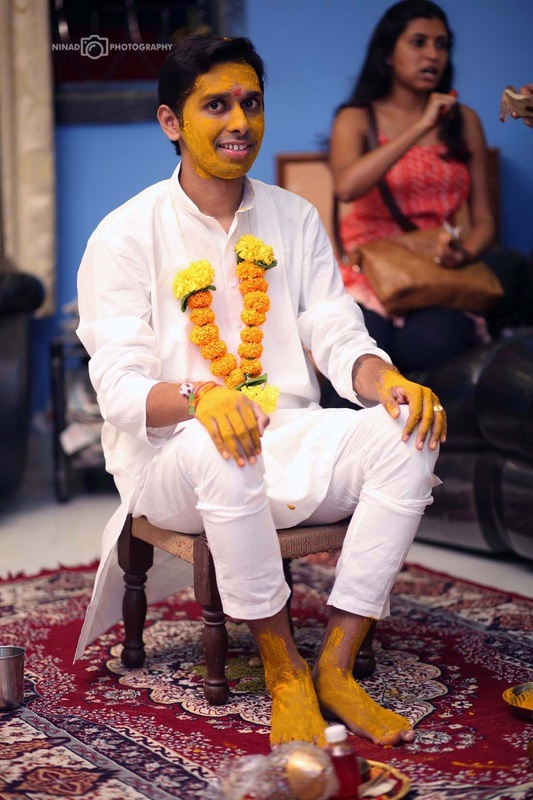 Aping Bhavin wouldn’t be a bad idea, as his plain white attire looked great even with haldi applied on his face and legs.